IGW Featured IG: "Faith"! 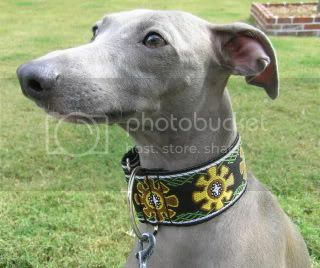 - IGW Featured Italian Greyhounds - "IG Whispers" Italian Greyhound Forums! Introducing IGW's Featured IG, "Faith"! Faith is an amazing little IG who had a bit of a rough start in life, but just wouldn't give up. Faith's "Story" is one that never should have existed. "Once upon a time there was a puppy. The puppy had an accident and broke her neck. She was given no chance of recovery, and was put to sleep." Faith's story though, is a bit longer than it should have been (by all rights). Her story is being written daily, and is a story of determination, faith, hope, and miracles! We invite you to join in sharing her journey, and cheering for a little girl who just refuses to give up! Meet Faith's "mom" Laura, and visit Faith's Website for more photos and her full story! For more on Faith be sure to check out her Gallery and Blog! I read all of Faith's story and cried. Truely an amazing little dog and very lucky to have such a great family!! I read Faiths story and I felt overwhelmed with happiness. She not only had the will to live but to come back full circle. She is truly a miracle. SHe has a wonderful family that gave her the chance. Faith and family, you are truly an inspiration. Interests:Art, reading, animals. Especially my dear doggies. What a beautiful story hers is- Laura, you are an inspiration. And she has grown up to be such a gorgeous girl. I just got done reading Faith's story, broke my heart and cried while reading about her "screams". What a miracle she is! She has the most beautiful eyes and I can't thank you enough for the decision you made. Thanks for getting this girl back to normal and dedicating the time you did to get her better. You are a blessing to go through this with her and I'm sure she loves you more than anything! What a wonderful story! Faith is an inspiration and is so beautiful! Thanks for sharing her story! Faith is so beautiful. Her sweet face just makes me smile. Faith was a huge inspiration in the recovery of my IG Bindi who suffered a spinal cord injury. Laura was a great help and a wealth of knowledge and experience all because of one amazing little girl, Faith. Faith's story and Laura's dedication are truly inspirational. Edited by Martin140, 24 February 2012 - 06:35 AM. What a beautfil story! And she has a wonderful family to love her!! !